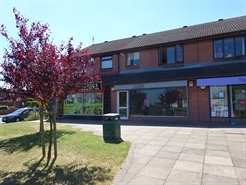 Mid Parade retail unit in established shopping parade. Adjacent Sherwood Plaice, Co-op Funeral Care, Lloyds Chemists & Hillview Surgery. On street parking to Sherwood Road and rear access. Ground floor sales 60.25 sq m (649 sq ft).